I am very lucky to live on the Welsh coast where I enjoy walking on the beach and cliff path, gardening with my husband and working in my study with the stunning sea view. I have four grown-up birth children, three step children whom I regard as my own, two grandsons (so far) and three step grandchildren. I love my family, Wales and the environment, all of which has a positive impact on my career as a historical novelist. I was interested in history long before I became an author. A class project in (drops her voice to a whisper) 1970s was about the way history has maligned Richard the Third so I was on to that topic well before they dug him up and the hysteria began. When I was little I wrote stories and read them to my dolls, when I was a teenager I poured my angst onto paper and when I was a young mother I wrote stories with my children as protagonists. So I think I was born to write, there is nothing else I would consider doing; it is an instinct and if I haven’t written for a week or so I become very grumpy. After I graduated writing seemed the natural choice. I don’t think it was a decision but more of a progression. I began my first (and never to be published) novel at university. When I finished it the sense of achievement was immense; I was astounded that I had actually done it. At the time I didn’t realise the hard work was only just beginning. I have just completed my tenth historical novel and, although I doubt I will ever be a household name, I am doing very nicely, with a steadily growing fan base. My email box is always full of messages from readers saying how much they enjoyed the last and asking for the next. When I write it isn’t a matter of dates or records although I do try to get them right. I am interested in perspective, how it felt to be in a certain situation in a particular political climate. There are many books about Anne Boleyn but when I wrote The Kiss of the Concubine I climbed inside Anne’s head and wrote from her perspective, exploring possible reasons behind some of her actions. I am very careful to be as accurate as possible and look at things from all angles. My readers seem to like that aspect of my work – I don’t just recount events but try to explain why they happened. 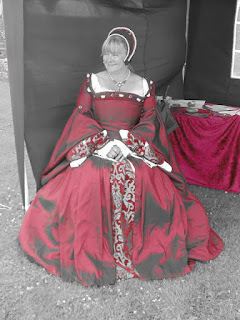 Tudor history has always fascinated me but when I began writing I mistakenly believed the Tudor era had been done to death so I concentrated on Anglo-Saxon and Medieval period. The early books, Peaceweaver, The Forest Dwellers and The Song of Heledd did quite well and set the foundations of my fan base but I constantly asked to write a novel set in Tudor England, so I did. 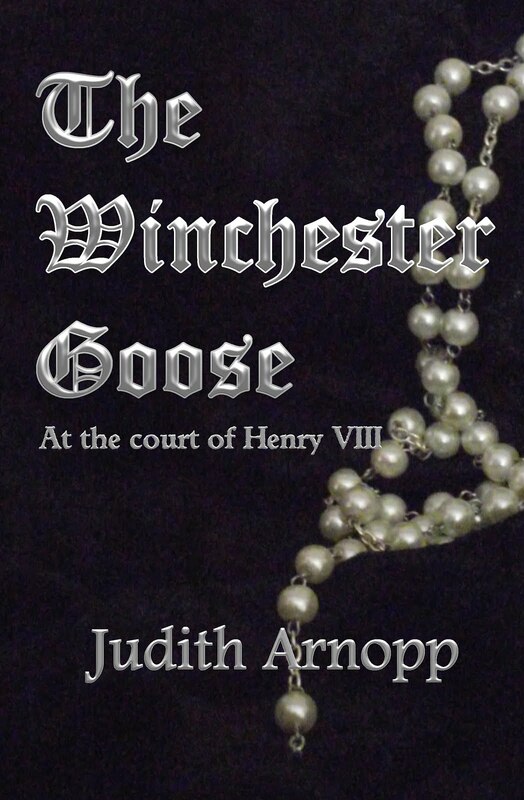 The Winchester Goose: at the court of Henry VIII is the story of a prostitute working in Southwark during Henry VIII’s marriages to Anne of Cleves and Katherine Howard. This one shot up the charts very quickly, becoming Amazon best seller for some time, so I decided to stay in the Tudor period and see where it would take me. I am very glad I did. Everyone is searching for the truth in history. Was Richard the third a murderer of innocents or a nice guy? Was Anne Boleyn guilty or framed? What turned Henry VIII from the prince of chivalry into a megalomaniac? We will never know the answers but it is fun to speculate and of course the first question that needs to be answered is: What is truth anyway? As far as I am concerned, there is no truth. That is why I never become involved in hot-headed on-line debates; truth is variable and dependent upon the witness. Every event, every recorded instance has another story behind it, another perspective, or another possible explanation. Researching the past is like being in a tall building with a hundred windows, each showing a different aspect of the invents, or an alternative route I can take. I wrote a blog some time ago about this that you can read here. I am very fortunate to have a very witty and amusing husband. We’ve been together for thirty-six years yet he still makes me laugh out loud every day. After so long together he knows exactly how to tickle my sense of humour and as a result our day is peppered with constant banter. It is something I am extremely grateful for because if you can laugh, life can never become too bad. I have just finished The King’s Mother the last book in a trilogy called The Beaufort Chronicles. The novels follow the life of Margaret Beaufort, the mother of Henry VII. She was married at an extraordinarily young age to Edmund Tudor, the Earl of Pembroke, and spent the first years of her marriage in South Wales. The Beaufort Bride takes place at fabulous Welsh locations like Caldicot Castle, Lamphey Palace, Carmarthen and of course, Pembroke where Henry was born. I always make sure I visit the locations prior to writing so I can get a feel of the place and perhaps a glimpse of how my characters might have lived there. Book Two, The Beaufort Woman, takes place in the reign of King Edward IV when Margaret needed all her wits to survive at the Yorkist court. Married to Henry Stafford, a younger son of the Duke of Buckingham, she comes to terms with the new regime and forms a tentative friendship with Queen Elizabeth Woodville. But after the king’s sudden death and Richard of Gloucester’s acquisition of the throne, Margaret and Elizabeth work together to bring the new king down and replace him with their children, Henry Tudor and Elizabeth of York. The third and final book in the trilogy is The King’s Mother in which Margaret, having achieved her goal, takes her place as one of the chief advisors to the king. She soon discovers that life at the top is not the bed of roses she had imagined. As King Henry VI slips into insanity and the realm of England teeters on the brink of civil war, a young girl is married to the mad king’s brother. Edmund Tudor, Earl of Richmond, takes his child bride into Wales where she discovers a land of strife and strangers. While Edmund battles to restore the king’s peace Margaret quietly supports his quest; but it is a quest that ultimately results in his untimely death. The Beaufort Bride traces Margaret’s early years from her nursery days at Bletsoe Castle to the birth of her only son in 1457 at Pembroke Castle. With the English crown finally in his possession, Henry Tudor’s endeavours to restore order to the realm are hindered by continuing unrest. While the king is plagued with uprisings and pretenders to his throne, Margaret in her capacity as The King’s Mother oversees the running of his court. The warring houses of York and Lancaster are united, the years of civil strife are at an end but, as the royal nursery fills with children, the threats to Henry’s throne persist and Margaret’s expectation of perfect harmony begins to disintegrate. 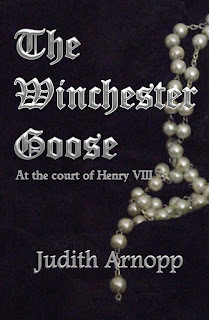 As quickly as Henry dispatches those whose move against him, new conflicts arise and, dogged by deceit and the harrowing shadow of death, Margaret realises that her time for peace has not yet come. The King’s Mother is the third and final book in The Beaufort Chronicles, tracing the life of Margaret Beaufort. Lots of people think I am odd but I prefer to see it as ‘individual’. Years ago, when I first turned vegetarian, we were a bit of a rarity, and I think that is when the label ‘odd’ was first applied to me. It stuck even more when I started banging on about climate change and the anti-hunting ban, and protested about animal testing etc. etc. etc. In a posh town north of London, I was the strange woman with goats and chickens in her back garden. I was the odd woman who put a lead on her goats and took them for walks to the park. Strangely, once I moved to West Wales I became less eccentric but whether that is to do with the Welsh being less judgemental or as ‘odd’ as me I wouldn’t like to stay. Despite all that though most people say I am kind and genuine. I will help people if they ask me but I am very shy and often hesitate to offer for fear of rejection. I tend to hang on to the people who understand me, people who don’t like me, don’t matter. I went to university as a mature student and had grave misgivings that I’d not be up to the challenge. After twenty years of being a mother my confidence was at a low ebb. Surprisingly I did very well. My tutors always remarked that my essays were well written, even when they were ill-conceived. My history tutors, Professors William Marx and Janet Burton, persuaded me history was the way to go. My creative writing tutor, playwright Dic Edwards was also encouraging, urging me to write ‘something long.’ When I produced my first novel he urged me to try to get it published but I didn’t; I knew it wasn’t good enough but his enthusiasm encouraged me to sit straight down and write another. My first decent novel, Peaceweaver, was published in 2009. I can never give enough thanks to Lampeter University and the people who taught me there and opened my mind and got me thinking again. They changed my life. There are so many. Hilary Mantel is my current favourite; I love the way she breaks rules, is not afraid to speak out or deal with public adversity. Wolf Hall and Bring up the Bodies are a superb journey into the Tudor court; I can never even hope to emulate her. Many people disliked her portrayal of Anne Boleyn and it was very different to my own but she was showing us Anne through Cromwell’s eyes, and she did it magnificently. I love the classics of course; Shakespeare and Chaucer and Dickens for their characters and drama. For easy reading I tend to stick to historical but the genre is very mixed, some of it is dreadful, some fabulous; you have to seek out the good authors and quietly ignore the not so good. I never write bad reviews. One of my favourite modern day historical authors is M. M. Bennetts who sadly passed way a short time ago. Her books Of Honest Fame and May 1812 are outstanding. I also loved Michel Faber’s The Crimson Petal and the White. For me, the thing that makes a good book is the journey to another time. If an author can make me forget I live in the 21st century and introduce me to solid, three dimensional historical characters and make me care about their lives, then they can count me as a fan. Write. Being an author is about getting words on a page and crafting them into art. Don’t waste time on social media, don’t worry about writing like other people. Join a class, polish your skills and write, write, write. If you don’t you aren’t a writer just a wannabe. Bio: Judith Arnopp is the author of historical fiction set in the Tudor period. Her novels include The Winchester Goose: at the court of Henry VIII: The Kiss of the Concubine: a story of Anne Boleyn; Intractable Heart: the story of Katheryn Parr: A Song of Sixpence: the story of Elizabeth or York and Perkin Warbeck and her latest project The Beaufort Chronicles which traces the life of Margaret Beaufort in three volumes The Beaufort Bride, The Beaufort Woman and The King’s Mother. Book One and two are available now and Book three is due for publication in December 2017.